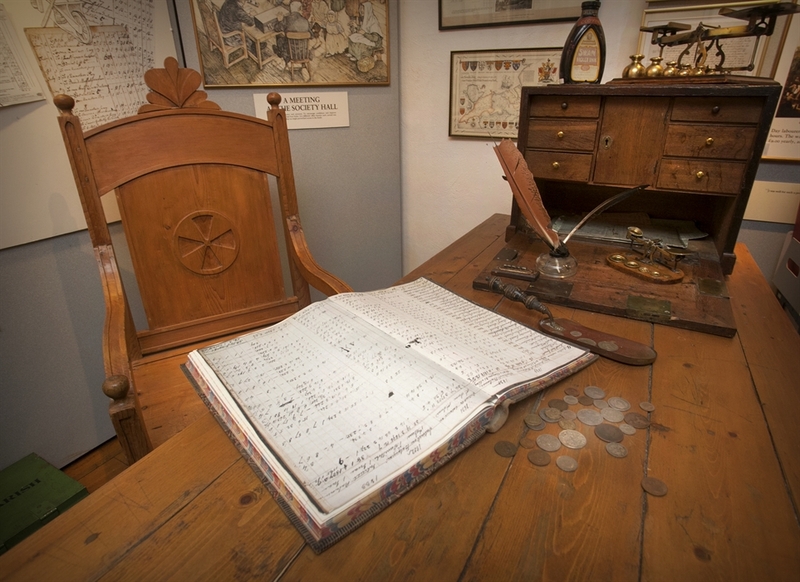 Discover the history of the savings bank movement as well as the region of Dumfries & Galloway itself at the Savings Banks Museum. 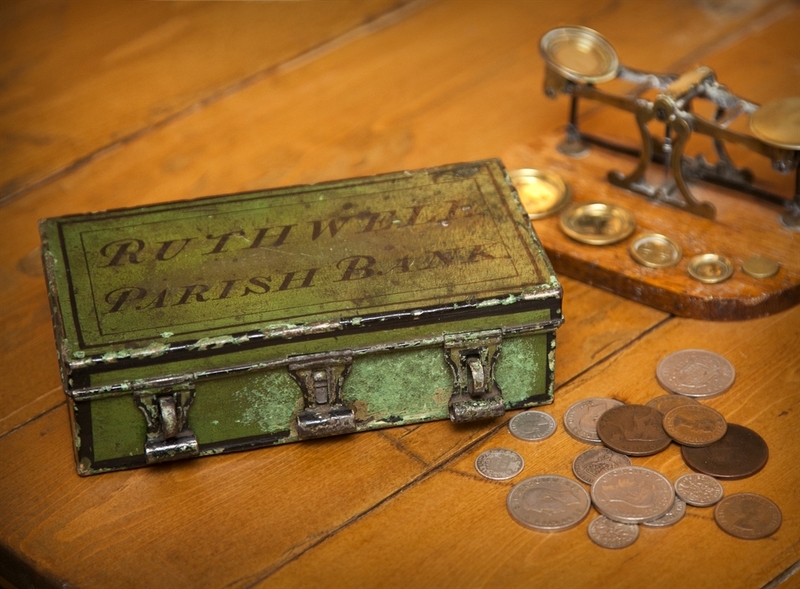 The original Ruthwell Parish Bank is now home of the Savings Banks Museum. The eighteenth century building houses a collection of early home savings boxes, coins and bank notes from many parts of the world. There are books on the worldwide spread of savings banks. The modest but important archives include documents and letters on the history of savings banks. 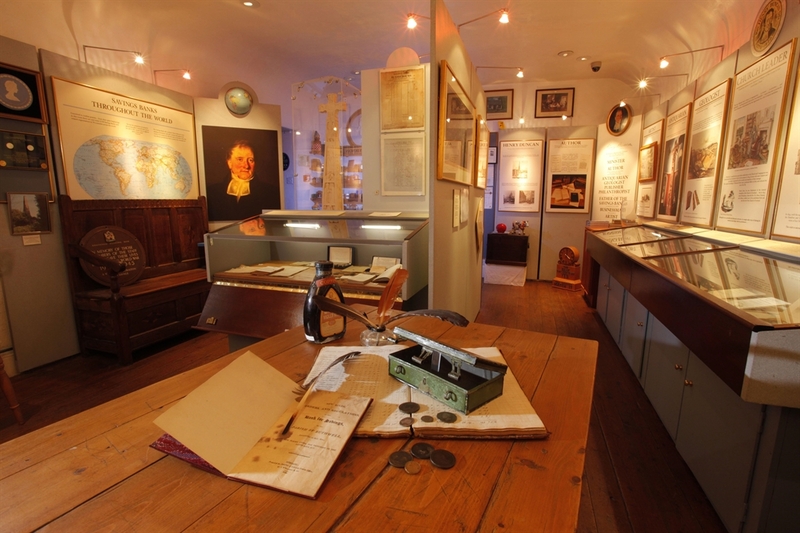 Housed in an attractive 18th century building, the museum charts the history of the savings bank movement and the role played by the renowned Rev Henry Duncan DD - minister, author, antiquarian, geologist, publisher, philanthropist, artist and businessman. In 1810 Henry Duncan launched a community self-help project that spread nationally and subsequently worldwide. He wanted to help the poverty-stricken members of his parish by opening doors for them to the financial and educational institutions. He devised a scheme by which the working class could save their hard earned money and the Ruthwell Savings Bank was born. It was a resounding success, resulting in hundreds of towns and cities wanting to form their own savings banks. By 1847 they were helping each other through their umbrella organisation called the Trustee Savings Banks Association, later known to us as simply, the TSB. 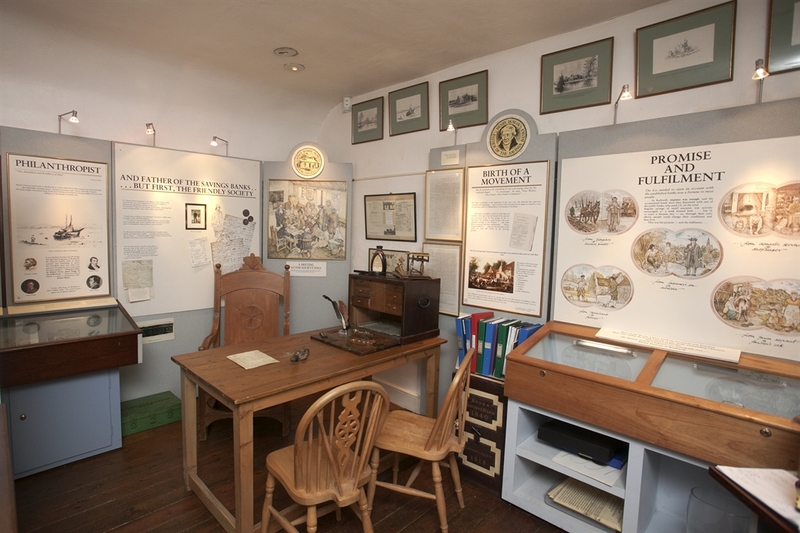 The museum is located in the very room originally built for the villagers' use and where the Reverend Duncan set up his table for business on 10 May 1810. 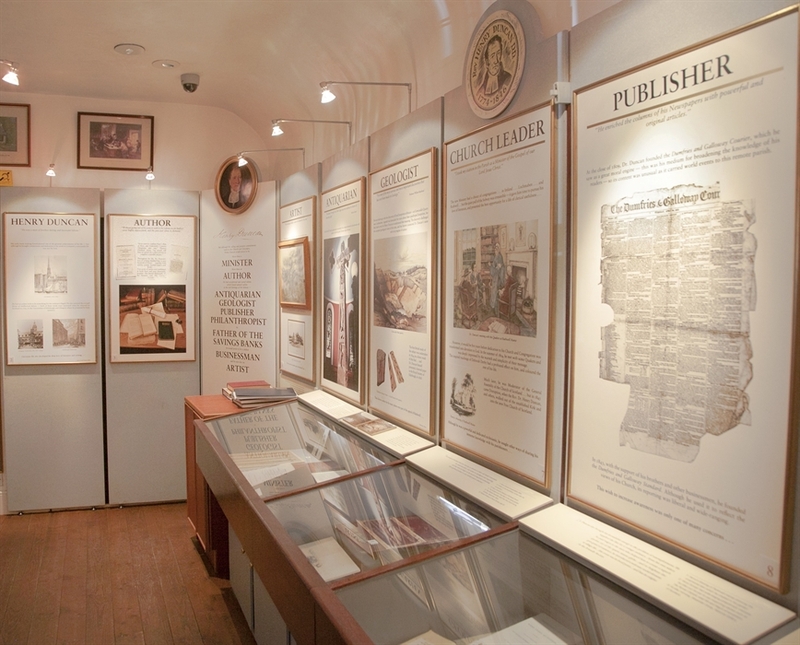 The displays contain banking memorabilia, including ledgers, home safes, coins and bank notes from many parts of the world. In addition, the museum holds much information about the region's history, including the world-famous runic stone, The Ruthwell Cross. 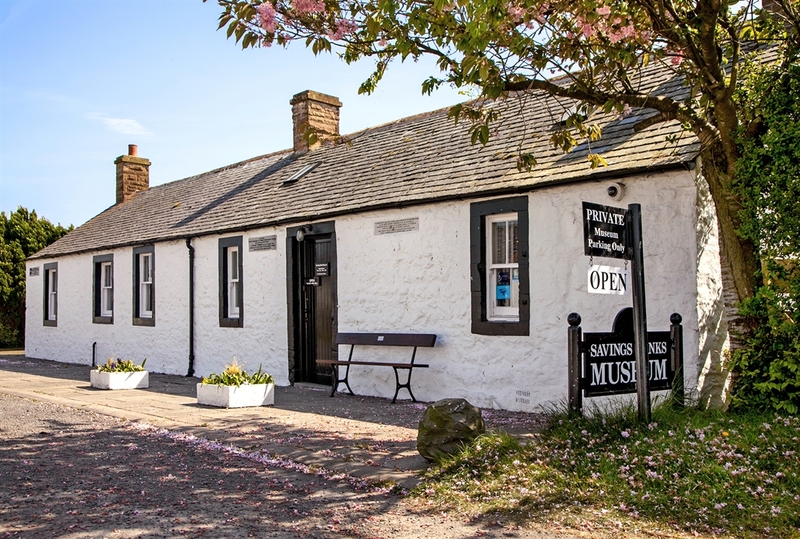 The Savings Banks Museum houses records of family history as well as social history, including the Ruthwell Friendly Society from 1795.